This image, taken by the JunoCam imager on NASA’s Juno spacecraft, highlights a feature on Jupiter where multiple atmospheric conditions appear to collide. This publicly selected target is called “STB Spectre.” The ghostly bluish streak across the right half of the image is a long-lived storm, one of the few structures perceptible in these whitened latitudes where the south temperate belt of Jupiter would normally be. The egg-shaped spot on the lower left is where incoming small dark spots make a hairpin turn. The image was taken on March 27, 2017, at 2:06 a.m. PDT (5:06 a.m. EDT), as the Juno spacecraft performed a close flyby of Jupiter. When the image was taken, the spacecraft was 7,900 miles (12,700 kilometers) from the planet. The image was processed by Roman Tkachenko, and the description is from John Rogers, the citizen scientist who identified the point of interest. NASA is getting new looks at Jupiter, from close up and far away. Its Juno spacecraft made its fifth just-above-the-cloud-tops dive of Jupiter on March 27, its eight instruments gathering data on the planet’s interior as it accelerated to 129,000 miles per hour. On each flyby, the public nominates and then votes on the atmospheric features Juno’s camera should record. This time, one of the winning targets was a boundary between two atmospheric regions. The bluish streak on the right is part of a persistent storm. Juno snapped this image 7,900 miles from the planet. 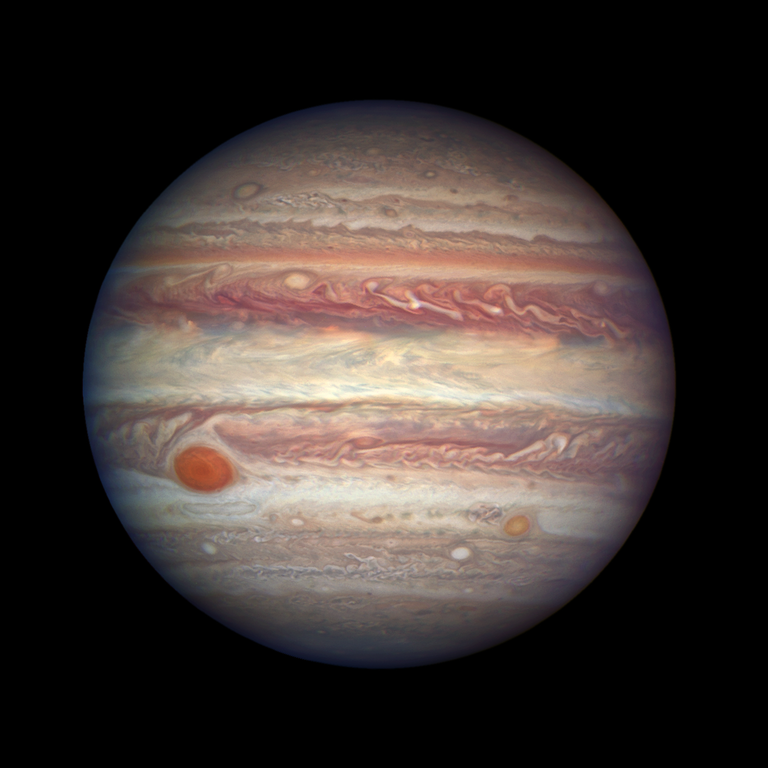 This week, NASA released an image of Jupiter taken by the Hubble Space Telescope, which is in orbit around Earth. The distance, 415 million miles, is the closest that Earth gets to Jupiter, which makes it a good time for Hubble to perform a once-a-year survey of the solar system’s largest planet. 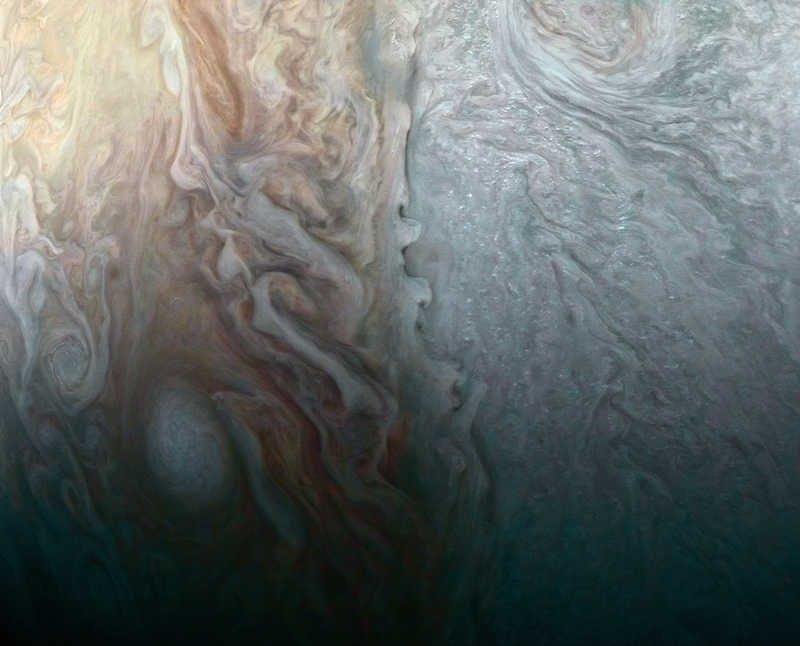 The space telescope is able to discern features on Jupiter as small as 80 miles across. Because the Hubble observations roughly coincided with Juno’s flyby, scientists will be able to match the close-ups with a wider view of the planet. “We could do a two-for-one there and help out Juno at the same time,” Dr. Simon said. 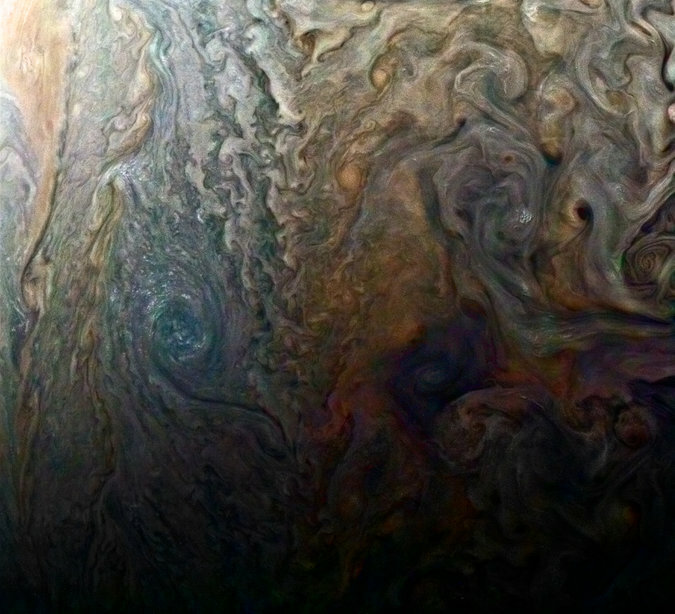 An enhanced-color image of a dark spot on Jupiter revealed a tangle of swirling storms reminiscent of a van Gogh painting.